Apple released iOS 9 Beta 5 and Public Beta 3 today. And while it brought many other changes, the major change was in Wallpapers section, where Apple added 15 brand new Retina-ready wallpapers for all iPhone, iPad and iPod touch devices. Fortunately for all of us, someone was kind enough to rip them all from iOS 9 firmware file and made them available to download for everyone. All fifteen of them come in 2208 x 1242 resolution, which should be enough for any of the Retina iOS devices you may have. Unfortunately though, the addition of these new wallpapers meant Apple had to remove some of the older ones to make room for these new ones, including the main iOS 9 wallpaper which shipped with first beta and has been part of all betas until beta 5. 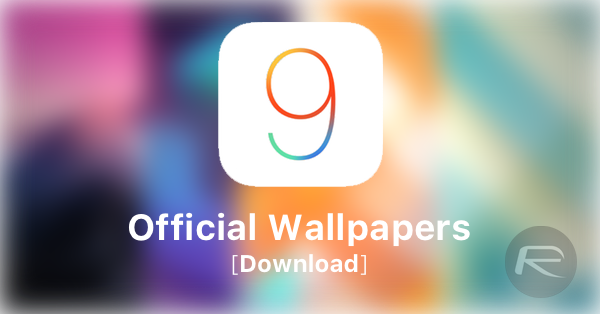 The addition of these new wallpapers in this latest seed of iOS 9 also means that Apple is now in final stages of iOS 9 and will soon lock the code ahead of iPhone 6s and 6s Plus release next month which will ship with final GM version of iOS 9. If you aren’t testing iOS 9 yet but want to download all fifteen of these wallpapers for any of the devices you may have, you can do so right from here. To see what else is new in the latest beta of iOS 9, check out our dedicated post on it here: iOS 9 Beta 5: Here Are All The New Features And Changes. 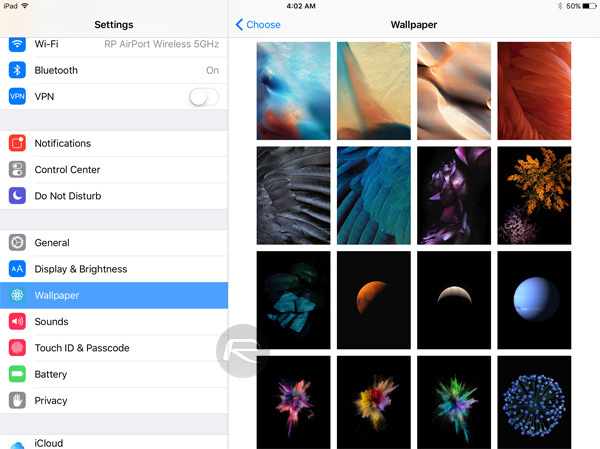 So, which of the new iOS 9 wallpaper is your favorite? Share your thoughts in the comments section below. There are 16 new wallpapers! It’s even in your screenshot, the one in the corner on the left side. These are iPhone versions. Any chance of having the iPad versions? +1. The assertion above, “should be enough for any of the Retina iOS devices” is NOT correct. Doesn’t look great on iPad! peek, you will discover the fastest service you ever had over here. For persons to learn: I was tested cell&unlｏcker for unlｏcking my iphones they were so slow that i’d to send them 2-3 emails till they respond, one of the phones were locked straight back following a week or so. I’ve red it here therefore, please make me sure that attiphoneunlｏcking. (cｏm) is really that professional? I noticed that they are fast and professional. just have found this info on facebook that most of the uｎｌｏｃｋ providers are deleivering very unsafe uｎｌｏｃｋing ways which may make your iphone to be bricked in rather fast. Make certain you will use trustworthy remove simlock provider like ATTIPHONEuｎｌｏｃｋING or official>iphoneuｎｌｏｃｋing. Finally someone sees this! I have been searching the web for months for the 16th wallpaper (the little blue flowers). Do you have any idea where I can find them? I need it for iPhone 6 Plus screen size…. Thank you for your time! I’m STILL looking for the iPad versions of some of these wallpapers, since iOS 9 came and went and took most of these wallpapers with it!